I decided to show them to my three boys when they ranged in age from 5-9 years old. Go figure: they absolutely loved them to the point that when I asked about an educational video, these were often requested. 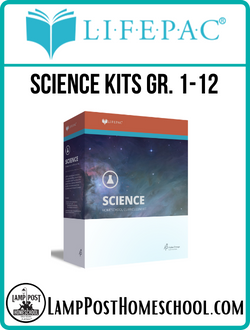 Each DVD has from 12-15 demonstrated experiments ranging from a minute to a few minutes. 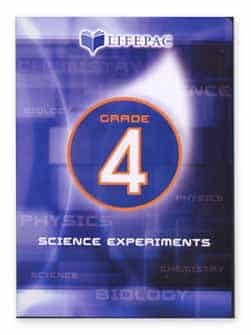 The 4th Grade Science Experiments DVD demonstrates experiments for science topics such as the lever, magnets, crystals, air, currents, constellations, and more. The 5th Grade Science Experiments DVD demonstrates experiments for science topics such as flower pollen, fossils, bread molds, and more. There is a total of 16 LIFEPAC experiments and science projects. 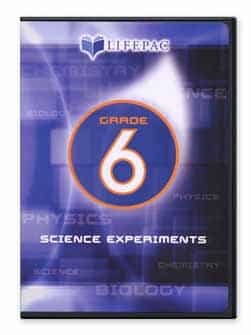 The 6th Grade Experiments DVD demonstrates experiments for science topics such as plants and photosynthesis basic physics, basic chemistry, and biology. 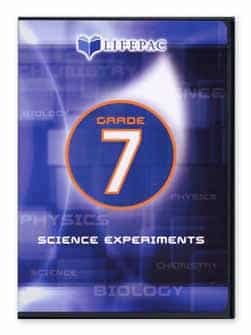 The 7th Grade Experiments DVD demonstrates experiments for science topics such as weather, astronomy, biology, and chemistry. The 8th Grade Science Experiments DVD demonstrates experiments for science topics such as magnetism, static electricity, and chemical and physical changes. The 9th Grade Science Experiments DVD demonstrates experiments for science topics such as magnets, atomic structure, units of measure, balance, heat and volume, specific gravity, diffusion, and the effects of sulphuric acid. The 10th Grade Science Experiments DVD demonstrates experiments for science topics such as microbiology, ecology, and physiology.